REALTORS® have been giving back to their communities for decades. 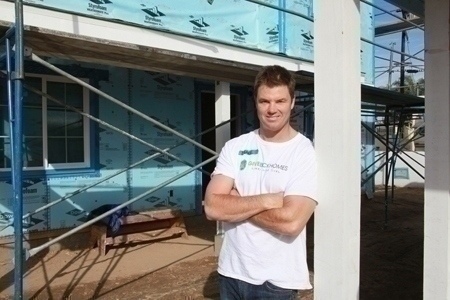 However, a new company is working with agents to provide a different kind of service: building homes for those in need. 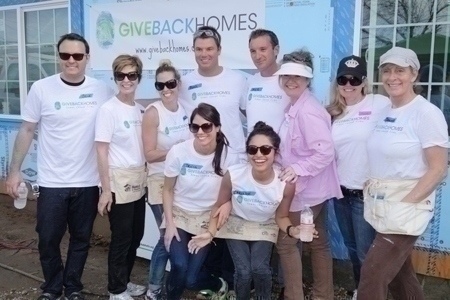 The company, Giveback Homes, aims to turn the real estate community into a humanitarian community by allowing REALTORS® to donate part of their commission toward building homes for those who cannot afford them. So this visit became his inspiration for becoming a social entrepreneur and founding Giveback Homes. • REALTORS® are testifying that homebuyers and sellers have chosen to work with them over other Realtors® because of they are a Giveback Homes member. The company began building in Nicaragua, and have since raised over $45,000 and built 10 homes in just six months. They have recently begun to expand to Los Angeles and Dallas. Giveback Homes’ first Habitat for Humanity build in the U.S. took place Thursday, February 27 in the City of Lynwood, Calif., where HFH GLA is currently constructing seven new homes. On site, Giveback Homes’ members teamed up to participate in a full day of building activities to work towards creating a brand new affordable and sustainable home for a local hardworking, low-income family. 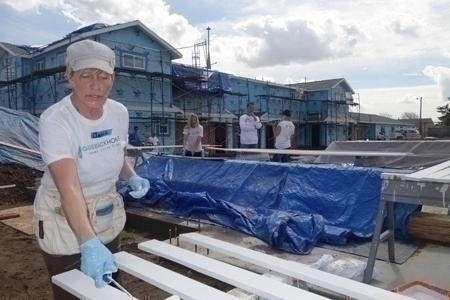 More than 30 generous real estate agents gathered at the construction site in Lynwood, Calif., to donate their day, along with a dozen Habitat for Humanity crew members acting as mentors. The Lynwood homes are expected to be complete by November 2014. At that time, Giveback plans to come back and be with the family as they move in.